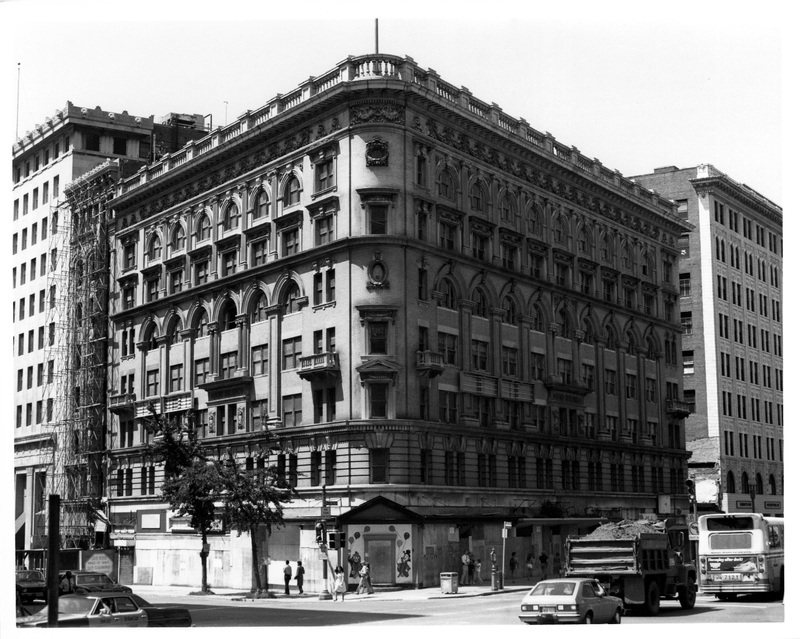 The Bond Building has been a pivotal structure in downtown Washington's business and financial district since it was constructed in 1901. 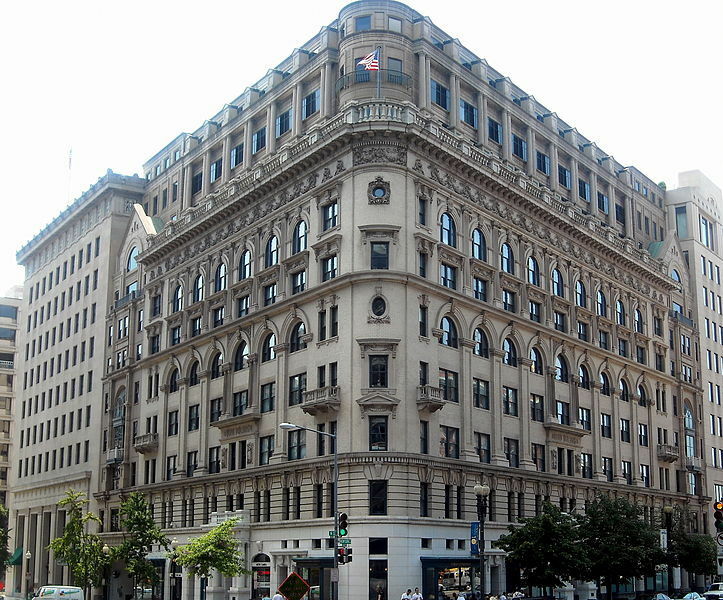 The seven story Beaux-Arts office building, designed by architect George S. Cooper, stands as a landmark to the prosperity and expansion of turn-of-the century Washington. 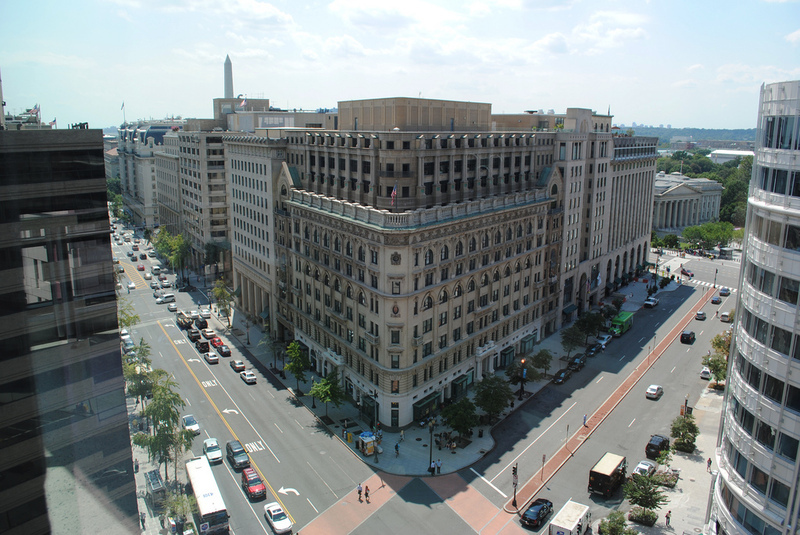 Over the years it has provided office space for former Senators, Congressmen, prominent attorneys and other professionals, and trade associations which have figured in the business life of the Capital city and the nation. 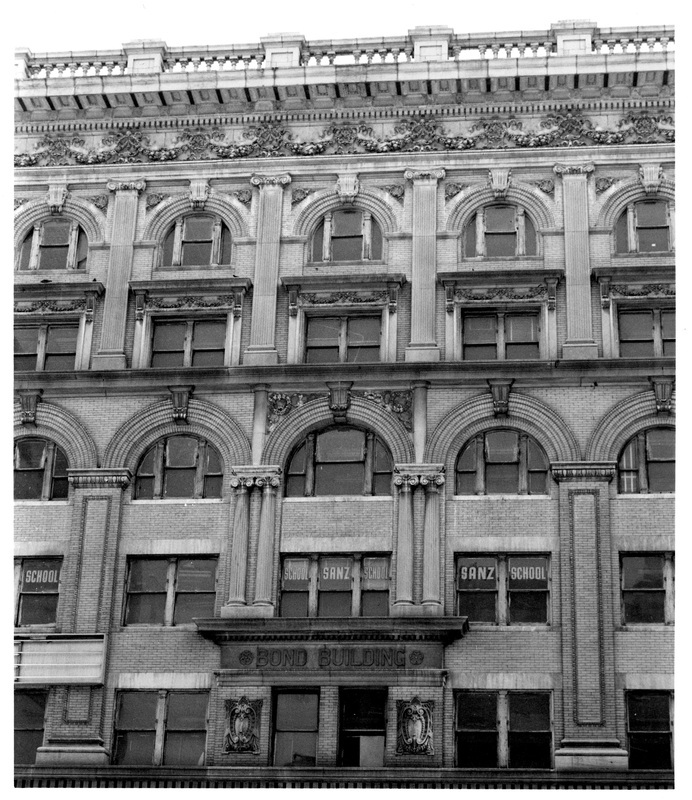 The facade was incorporated into a new building 1985-1986. 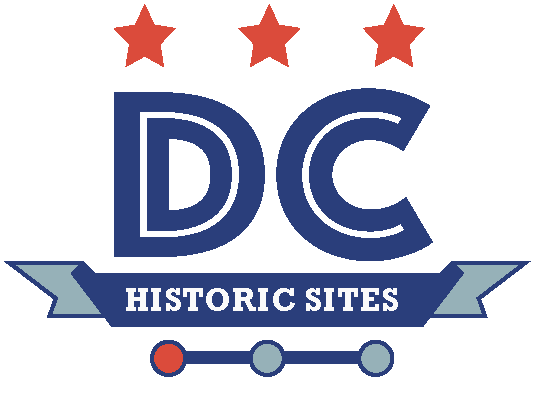 “Bond Building,” DC Historic Sites, accessed April 24, 2019, https://historicsites.dcpreservation.org/items/show/758.